We are excited to feature Chris Blanchard, Trade Cycle Manager, as our Feature Friday interviewee this week. 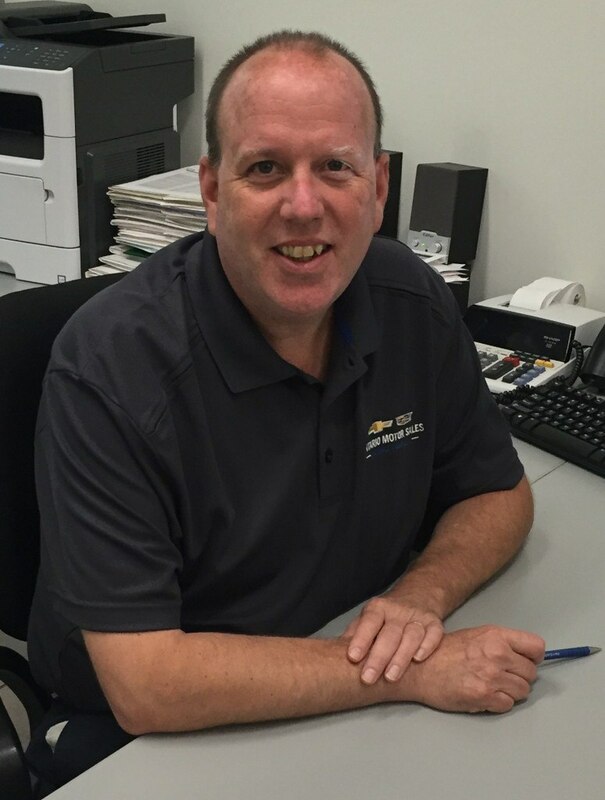 Please scroll down to read about Chris's take on life around the dealership. It's certainly been my career! I started at OMS on October 20th, 1989, so I've been here for 27 years now. You've probably heard that we're family-owned and operated. I'm very happy that I chose to work here because we stand for the common person and that's why families are so important to us. The Willson family has been a pleasure to work for. Definitely the staff. This is a really unique place; even customers have said that it's a fun place to come to because everyone is always smiling. My parents used to say that they liked coming here because everyone is always so jovial and happy and that's what made them feel like part of the OMS family too. The first thing that jumped into my head is honesty. In my first year working here, John Horky (who worked here for 67 years or so) said: "Chris, you can never get caught telling the truth." That really struck me, and it's something I've tried to live by in my whole career here. We work as a team so the environment is very "I help you, you help me"—but it isn't forced or anything like that. The goal is to be successful in selling cars, so working as a team helps as many people reach that goal as possible. If we are able to do that, then we can do even better and inspire our customers to want to join our team as a member of the extended OMS family. By the way, that family grows larger every single day. This isn't something I talk about often, but it's my most important work-related story. When I started here, I was selling cars, and one day, I got a call from a customer who I had sold previously. She was an elderly lady who had been through a rough patch and she told me that she wanted to end her life. I was only 28 years old at the time so it was a lot for me to handle, but I offered her support because I was really concerned. She ended up calling me back about a week later and she thanked me for showing such concern for her. I didn't even really know what I was doing but that's a story I've really treasured over the years, and I don't mind sharing it with you now. You never know what someone is going through, so showing compassion and respect to everyone has been something very important to me especially in the years that have followed.